From seasonal fluctuations, ‘acts of God’ and regional conflicts to national politics and economics, the aviation industry faces a whole host of variables that can negatively affect planned services at the drop of a hat. These factors can threaten your company’s operations, reputation and profit margin, and often the immediate need is for a strong, well-prepared team that can get stuck in to sort out the mess, while keeping services running smoothly for customers. A crisis is no time for staff shortages. A full staff of motivated and highly skilled employees gives your company the versatility to adapt and keep services running smoothly. After all, the punishment for a missed target or deadline ranges from commencing an open dialogue (aka ‘strict talking to’) with regulatory industry bodies or even the revocation of operational licenses – not to mention all that negative publicity and extra costs to the airline. The key way to know that you’ve got the best possible team on hand is to adopt a proactive recruitment strategy, so that you can quickly expand your team if needed. A reactive recruitment strategy only kicks into action once a staffing requirement is identified. If you’re slow off the mark, or if you’re competing with a business that already has a proactive strategy in place, you’re going to miss out on the best staff and the value they could add to your company. A proactive recruitment strategy means that you’re constantly on the lookout for the best available staff to help optimise your operations, regardless of an immediate requirement. This enables your business to make incremental internal improvements when the job market is advantageous, securing the top staff when demand (and therefore viable perks and pay packages) is at its lowest. With a proactive strategy, an aviation recruitment specialist can help you cultivate a pool of top applicants. These will all be pre-vetted and managed to ensure a scalable solution that lets you fulfil large or small staffing requirements in almost no time. 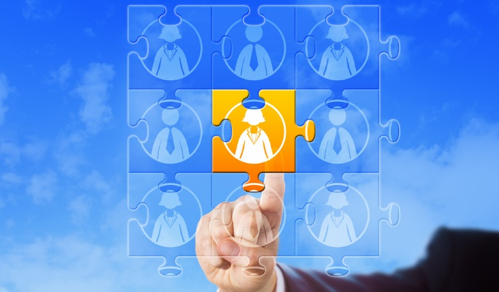 A proactive recruitment strategy can give your business a valuable strategic advantage. If you’re the first carrier to react to an incident that disrupts normal service patterns, you can generate additional income by being the first/only option that enables people to travel as close to schedule as possible. By having the right people in the right places before a situation arises, you can make sure that that you have the capacity to cope and maintain a cohesive service. This will save you from a raft of negative publicity, and prevent you from having to make important decisions under pressure. Not only can you avoid significant fines, operational restrictions and legal action, regulatory adherence can also be advantageous when competing for additional capacity in new or developing markets. A proactive recruitment strategy can help you optimise your operations and be ready for whatever the world throws at you. Call on AeroProfessional today and find out how you can get started.